Batteries are easily one of the most overworked and overlooked components within any vehicle. Even when the key is not on, the battery is still working, providing that little charge to keep the clock running, or preserving the memory on one of the many computer systems that support the vehicle’s operation. If your radio has station presets, it generally takes 0.01 amp just to keep those presets active, and if you have upgraded to an engine that requires an ECU for operation, an acceptable current draw will be around 0.03 amp with the key off. It is easy to take this dedicated worker for granted, that is, until the battery fails, then we find out how resilient that friend has been. This is exactly what happened to our project car Sucker Punch. We recently learned the hard way that we hadn’t started and driven the beast as often as we should have since we were focusing on the other project vehicles, and that means we neglected the battery. That’s alittle ironic, as we’ve worked hard to educate our loyal readers on properly maintaining batteries, especially AGM batteries from Optima. 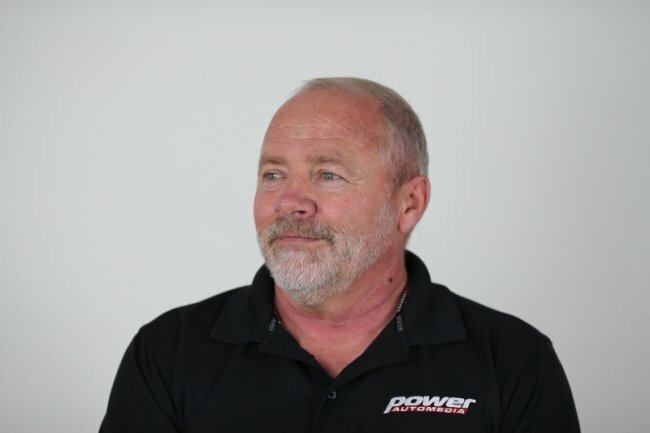 We talked to Jim McIlvaine, eCare Manager at Optima, and he explained that while connected to a vehicle, if the battery’s voltage drops it could be a parasitic draw that is discharging the battery. “If that is suspected,” he said, “it’s a good idea to remove the battery from the vehicle and fully charge it and see if it exhibits the same behavior when it’s not connected to anything.” This would give us a true answer, but since our battery was losing voltage while disconnected, we were at a loss for what was causing the battery to drop voltage. There was no explanation except our lack of care and poor battery maintenance had caused a problem within the battery itself. We know better, and have even covered the topic in a short technical article: Optima Explains How To Make Your Battery Last Longer. Our longtime relationship with Optima Batteries has developed into a trusted bond, and even armed with this knowledge, we still failed to properly care for our battery and needed to replace it. Now we just had to figure out what battery we needed. The Yellowtop battery only has SAE terminals except for the D31T. Choosing a battery from Optima Batteries begins with a simple Blue, Red, or Yellow decision. This isn’t a preference of color choice or aesthetics. Not at all. These represent three different product lines in the Optima Batteries arsenal. The Bluetop batteries are designed primarily for marine applications where a battery is needed almost exclusively for starting a gas engine. The Bluetop batteries have a dark gray case with blue top. These are not designed for cycling duty. Bluetop batteries have both automotive posts and threaded studs. Optima Batteries does make a dual-purpose Bluetop battery with a light gray case for starting and deep cylcle use on recreational vehicles. The basic rule of thumb for Optima batteries is case color: A dark gray case is intended to be a starting battery only, and a light gray case is made for cycling duty. Neither of these Bluetops are really intended for regular street vehicle use, so we will limit our choice to either a Redtop or Yellowtop battery which are geared more toward automotive applications. The Redtop battery is a starting battery that is used on an application where an alternator immediately monitors the state of charge and provides energy to the battery when needed. This would be applicable to most stock street vehicles. Fully contained and spill-proof, the Redtop battery can be mounted at just about any angle, and provides a maintenance-free source of power. The Redtop battery is also known for having more than 15 times the vibration resistance of a traditional battery, while featuring a faster recharge rate. Optima Batteries recommends the Redtop for use in hot rods and street cars, as well as trucks, SUVs, and other applications, like motorcycles that don’t have an excessive amount of battery-draining accessories. Yellowtop deep-cycle batteries offer up to three times longer life, and are 15 times more vibration-resistant. They are maintenance-free, faster recharging, and offer optimal starting power. What About Higher Electrical Loads? Optima Batteries’ Yellowtop battery is considered a deep-cycle battery. This makes the battery perfect when electrical loads are higher than average. Suppose you have a radical audio system, killer electrical fuel pump and EFI fuel system, an air bag system, and host of other electrical components. When the discharge cycle is more than a typical engine starting, the Yellowtop battery should be used. Optima Batteries also recommends the Yellowtop for passenger cars where car audio/video applications exceed 250 Amperes over the stock electrical system. The Yellow Top is more of a high-performance product, as it has a lifespan up to three times as long as a traditional battery with deep cycle and cranking power that lasts. The Yellowtop battery can also be recharged after deep power drains, again and again, with the capability of withstanding over 300 discharge/recharge cycles. Optima Yellowtops are virtually spillproof and are mountable in any position. There is one note for anyone wanting to use one of the deep cycle Bluetop or Yellowtop batteries: The Bluetop batteries have both automotive posts and threaded studs, while the Yellowtop battery (other than D31T) only have SAE terminals. The best way to maintain an Optima battery correctly, is to use the Optima digital 1200 battery charger. Alright, we’ve learned our lesson. This time we will maintain our battery correctly so we picked up the Optima Digital 1200 battery charger. We’ve discussed the reason for owning the Optima Digital battery charger in the past in such articles as: You Need This Optima Digital 1200 Battery Charger. It is time that we took our own advice. The Optima 1200 digital battery charger is simple to use with clearly labeled press-to-active switches. It was a no-brainer to pick up the battery charger designed to work with the AGM-cell batteries. As for the battery, we opted for the Yellowtop deep cycle Optima battery for our project car and smartly, we picked up the charger and put it to good use right away. Project cars can sit for a while, and the occasional use of the battery without regular charging can sometimes draw a battery down a bit. Routine starting of the engine simply to test a circuit or part and then shutting it down for a while are common, but do not offer enough runtime to sufficiently recharge the battery drain seen during start up. The Optima Battery charger conditions the battery and helps keep it working at optimal storage capacity. Now we can rest easy that our project car will fire up each time we crank the engine, no matter how long we have let the car sit. The charger will even charge and maintain your cell phone at the same time. Stay tuned for our next upgrade on Project Sucker Punch as we add an Edelbrock triple deuce carburetor set up and remove the Edelbrock E-Force blower.